My family’s Adventures by Disney trip to Italy was one of our most incredible vacations to date, but day one of our journey was one of the longest days of my life. After traveling for about 24 hours (coming from the West Coast on three different flights) and playing the “oh my gosh I actually fell asleep on the airplane. How long was I asleep? Eight minutes! 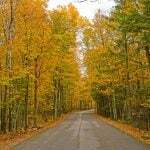 Dang it!” game over and over again, my husband and I were pretty exhausted. The kids, being kids, were able to get enough sleep to be functional. Thankfully, getting through customs was a breeze and our Disney Adventure Guide was waiting for us just outside of baggage claim with that familiar Adventures by Disney paddle. We boarded a luxury coach and headed towards the stunning Gran Melia Rome Hotel, our oasis in the city for the next three nights. Though we were zombies, our guide wisely warned us not to sleep for more than an hour before our welcome dinner so that we could begin to adjust properly to Italy time. Easier said than done. By the time dinner came around, I was so tired I could barely stand up and definitely too tired to eat much. Those who had arrived the day prior were in much better shape. Lesson learned. 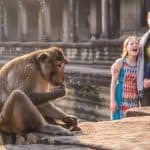 Arrive at least one day prior to your Adventures by Disney adventure if there is a significant time change so that your family can adjust and be ready to enjoy every moment of your journey. While my memory is foggy about the night I do recall the food being plentiful, the wine flowing, and the excitement buzzing as our Adventure Guides Landon and Marco (or Marcolandon as we often called them) gave us the scoop about what Disney had in store for us in Rome. Needless to say, my family had no issues falling asleep that first night. Good thing because our next two days in Rome were packed with one incredible experience after another. We then met Stefano, our local expert guide for Rome. Stefano is a walking encyclopedia filled with information on Roman history, art, and culture. I can’t begin to tell you how enriching he was to our entire experience, offering little tidbits of knowledge that you just can’t get by simply reading guidebooks or museum placards. The sky began to clear mid-morning, just as we reached the Trevi Fountain, one of Rome’s most popular tourist attractions. Lucky for us, most tourists were not willing to venture out in the rain and we had the fountain pretty much all to ourselves. We took turns posing for pictures and throwing good luck coins into the fountain, securing our return visits to Rome (or so the legend says). Our good fortune was further elevated by the announcement from Marcolandon that we were all welcome to grab two scoops of gelato from the gelateria across from the fountain- Disney’s treat! 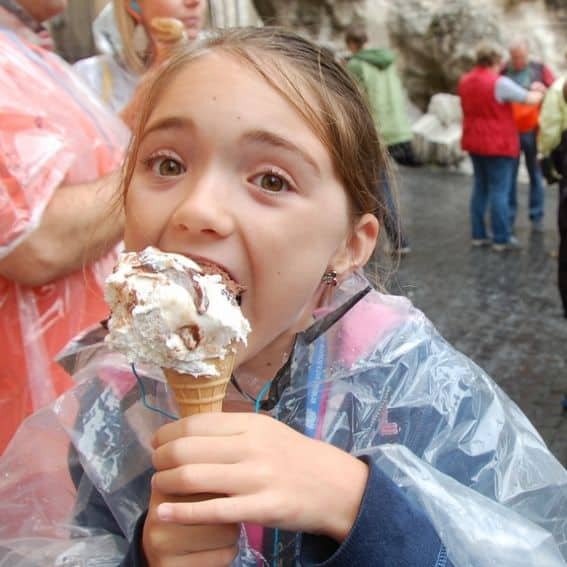 If eating gelato in front of the Trevi Fountain won’t put a smile on your kid’s face, I don’t know what will! 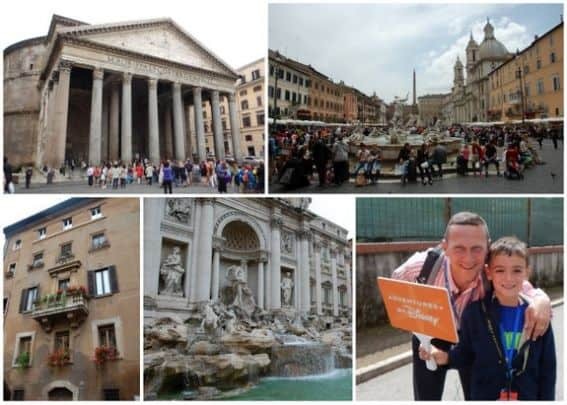 Our walking tour continued throughout the heart of the city, stopping at famous spots such as the Spanish Steps, the Pantheon, and Piazza Navona. Lunch, included in our tour, was at Obika Mozzarella Bar. Besides serving up delicious antipasto and mozzarella di bufula, this restaurant was also our introduction to the heavenly world of Italian pizza. Word of warning: eating Italian pizza may ruin you on American pizza for the rest of your life. The cheese is better, the sauce is fresher, and the crust is consistently cooked to perfection. All of our food was served family style, beginning what I dubbed “Gorgefest Italiano” for the next eight days. It is so hard to say no when everything tastes so good! One can’t possibly go to Rome and without experiencing the Coliseum! It is the ever-enduring symbol of the ancient Roman Empire and an engineering feat that has withstood the ages. Sure, we could have taken the same old tour that everyone else takes of the Coliseum…. if we weren’t with Disney! Disney doesn’t do “same old;” Disney is like an over achiever looking to score an A+, and they won’t settle for anything but the best. Thousands of tourists were touring the Coliseum on the day we visited but who else got to go out onto the rebuilt stage? Who else was granted access to the lower level of the Coliseum where lions once roared in their cages while gladiators prepared for another epic fight? Who else climbed to the third level of the Coliseum for a spectacular view of the legendary arena, the Forum , and the city of Rome beyond? Ehem…. nobody else, that’s who! 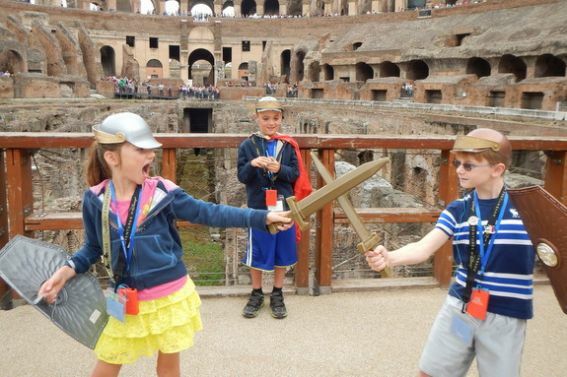 While my husband and I were blown away by the history and architecture of the building, my children were over the moon happy because Marcolandon brought in gladiator costumes and swords for them to wear, allowing their imaginations to run wild. After all, why just learn about the gladiator when you can be the gladiator? I imagine it would be impossible to find anyone, regardless of their religious background, who isn’t blown away by St. Peter’s Basilica. The sheer size and ornate detail is mind boggling, especially considering it has been standing inside the Vatican, one of the most powerful places on the planet, as the largest church in the world since 1626. Stefano guided us through the Basilica, pointing out detail and history along the way. My kids were most impressed with the Swiss Guard, whose colorful uniforms and unique poses were unlike any security force they had ever seen back home. Before we left St. Peter’s Square, Disney provided us with postcards for us to mail from the Vatican post office, sending home a fun souvenir from the tiniest country on the planet and delighting our inner philatelist. No trip to Europe is complete without a visit to a castle. 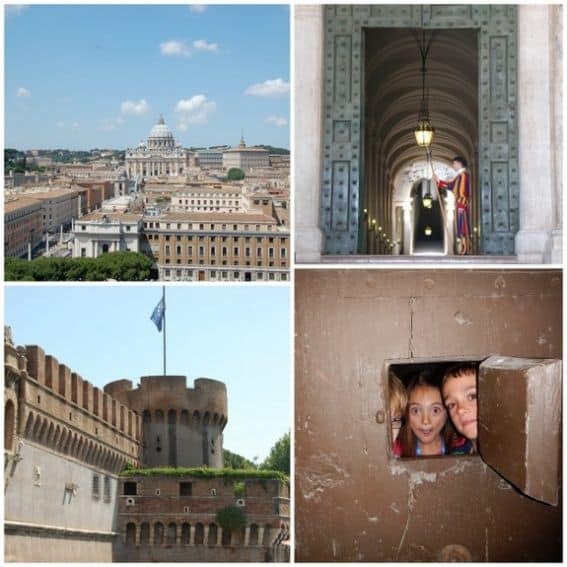 The Castel Sant’Angelo sits on the edge of the Vatican and was once used as a papal fortress and prison. It is connected to the Vatican via an elevated passage called the Passetto di Borgo, familiar to fans of the Dan Brown novel, Angels and Demons. Disney couldn’t just let us take the regular old tour of the Castel. Instead those over achievers arranged for us to take a tour which allowed us to see the prison cells deep within the castle walls and the centuries old vats used to store wine and olive oil. So cool! After we coaxed the kids out of their fun behind bars, we headed up to the top of the Castel for an amazing view of Vatican City and Rome. Six million people visit the Sistine Chapel every year and the vast majority of them are ushered through this sacred building in one crowded mass of sweat and lack of personal space. Why be one in a mass of 20,000 people per day when you could be one of just a lucky few who get to experience the Chapel much like Michelangelo did hundreds of years ago, crowd free. I don’t know how Disney manages to gain after hours to the Vatican Museum, allowing us to see one incredible piece of priceless work of art after another, but I am sure glad they did. 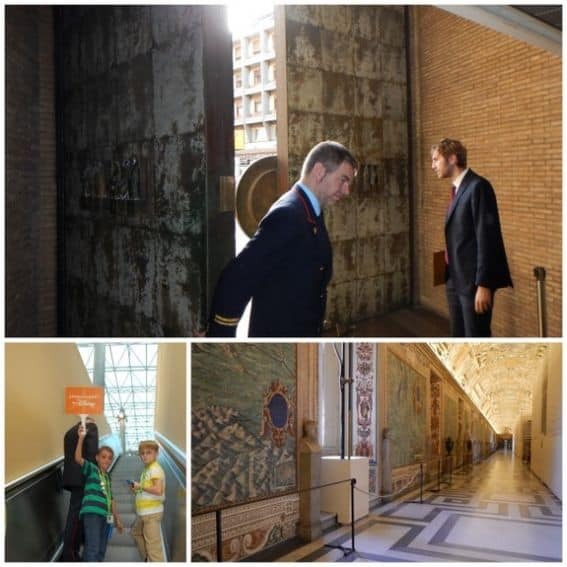 We didn’t just feel like VIPs, we felt like honored guests inside one of the great museums of the world. Those in our group who had visited the museum in the past may have been even more blown away than us newbies because they were experiencing the museum with new eyes. Our guide, Stefano, once again managed to bring the history, culture, and art to life with his passion and expertise. He masterfully told us the story of Michelangelo and his most significant life’s work, taking us through image after hand painted image and pointing out the nuances of the artist’s genius. The Gran Melia Rome Hotel was truly our oasis within the city. After a long day of touring, we looked forward to escaping the hustle and bustle and retreating to this peaceful and visually stunning hotel. The sprawling property sits just outside of the walls of the Vatican. As a matter of fact, we could see both the Vatican walls and the Tiber River from our room! Since we were a family of four and most rooms in Italy don’t seem to accommodate more than three, Disney made sure that our family had two adjoining rooms. The highlight of this property for the kids was definitely the pool which was perfect for burning off energy after a few hours of museum touring. Breakfast is served buffet style and included daily as part of the Adventures by Disney experience. While in Rome your family will have two dinners and one lunch on your own. Most places do close from 2-7 for “siesta” so expect to eat dinner late. Unlike us Americans, most Romans are getting to restaurants at 11pm! More than likely, those us you with younger kids won’t be up for a late night meal after long days of touring. Luckily, us Adventure by Disney tourists have the benefit of our Adventure Guides to help us along the way. Guides are eager to offer dining suggestions based on your needs (as well as budget) and will happily make reservations for you as well. We quickly discovered that kids menus are nonexistent at Italian restaurants so we opted to order our kids a small plate or have them split something like pizza We found our suggested dining to be convenient, reasonably priced, and always delicious. 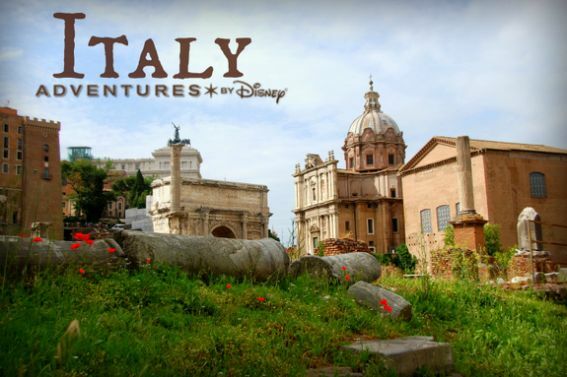 Want to learn more about the Adventures by Disney Viva Italia experience? Check out my overview of the Adventures by Disney Viva Italia read about the details of our experience in Tuscany and Florence. 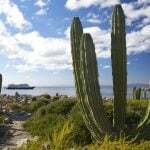 Ready for your own Italian dream vacation? Book your trip with Adventures by Disney. 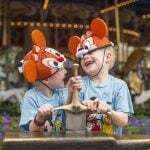 Want even more Adventures by Disney? Check out the trip my family took with Adventures by Disney to Peru. 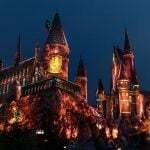 Disclosure: I received a complimentary tour for myself and guest as well as discounted rate for two additional family members so that I could cover Adventures by Disney’s Via Italia trip. Disney requested nothing more than an unbiased account of my experience. All opinions are my own. Touring the Sistine Chapel without the crowds makes me think Disney tours make it all worth it! Love those overachiever types.